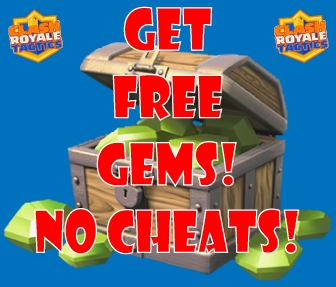 It would give me 80 Gems and 10000 Gold – a Featured Offer – Gold & Gems Pack. 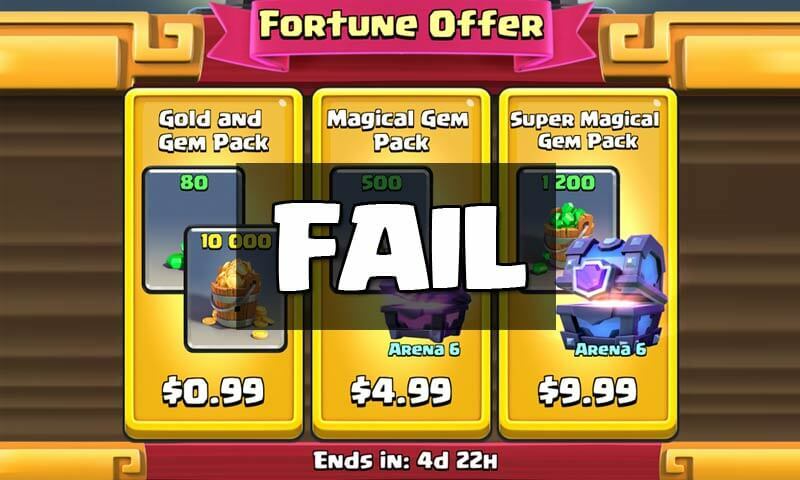 But there is some sort of bug with his offer, and after 2 attempts to buy this, the money left my account, but I did not get the gems or gold. Now keep in mind this is only on Android Play Store – I can’t confirm this issue on App Store (probably its not there). I will try to get a refund for this, but it is a sweet deal… especially that I used my credits that I earned with FreeMyApps instead of spending real money to put in my Play Store account. So after few hours, I got email from Play Store, that my 2 initial purchases were canceled and refunded. I was also able to successfully purchase this item for $0.99 on the 3rd attempt. It is a 1 time purchase and I cannot buy it 2nd time. See video below. 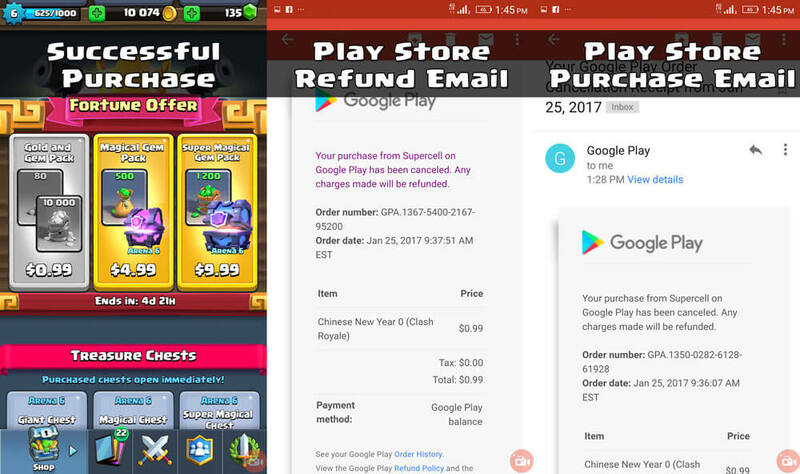 Here are the screenshots of Refund Email and Successful Purchase Email from Play Store, as well as Gems + Gold added to my account! So I guess SuperCell quickly realized they are having issues, or got too many complaints. Bottom line – they were loosing tons of money on unsuccessful purchases and fixed the problem promptly! With that said – happy Clashing!